Ya'll know I am obsessed with making my own art, and have pretty much done so for our entire house (my fave examples here). Not because I'm that good at it, but because art is expensive and I'm frugal to a fault. Plus, there's something really cathartic to me about drawing and painting. When the cat's away, the mouse makes art. I usually just make abstract art because it's so easy and you could basically draw a circle and say ABSTRACT, but I've been really curious about watercolor pencils for awhile and decided to finally try them out last night. You may have seen my little sneak peak on instagram. I wasn't quite sure how it would turn out, but I can now officially say that I love them. I made 4 pieces (which are each going in different rooms that I will be sharing soon), so for now I'll just show you a couple. One of my faves is this one....the watercolor feathers. What I love about these watercolor pencils is that they are so precise, so you can draw or doodle anything you want to. It's so hard to add little details with normal acrylic or oil paint (at least for me, but my skill level = 2 out of 10). So, with these watercolor pencils, you can sketch something out like you would with a colored pencil, and then when you add water, it softens the lines and makes it look more like watercolor. 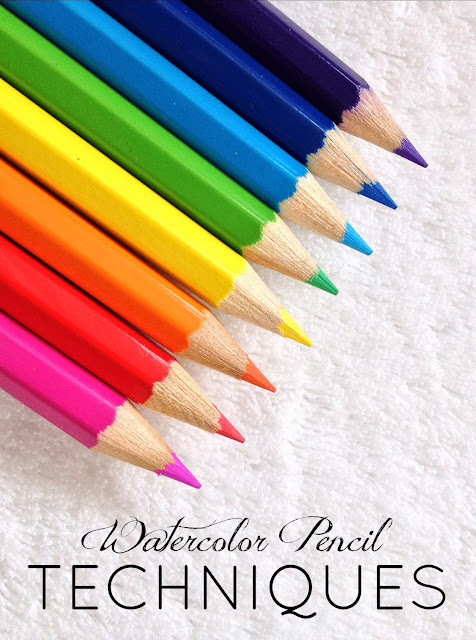 Plus, you can even get your brush wet and brush over the tip of the pencil and use it like you would a normal watercolor palette. Endless possibility, I tell ya. 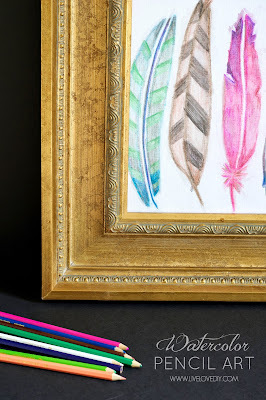 For supplies, I used basic watercolor pencils and some heavy duty paper made for watercolors (links take you to my Amazon affiliate shop). I was really pleased with the assortment of colors that came in the set, and found that it was all I needed to do just about anything. 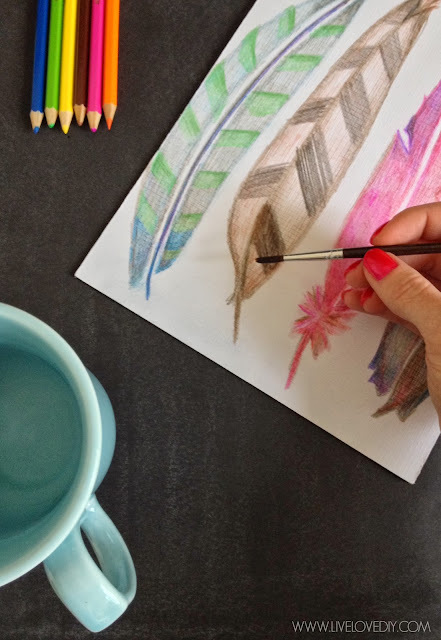 To create my feathers, I lightly sketched them with a gray pencil and then once I was satisfied with them, I outlined them in my base color. 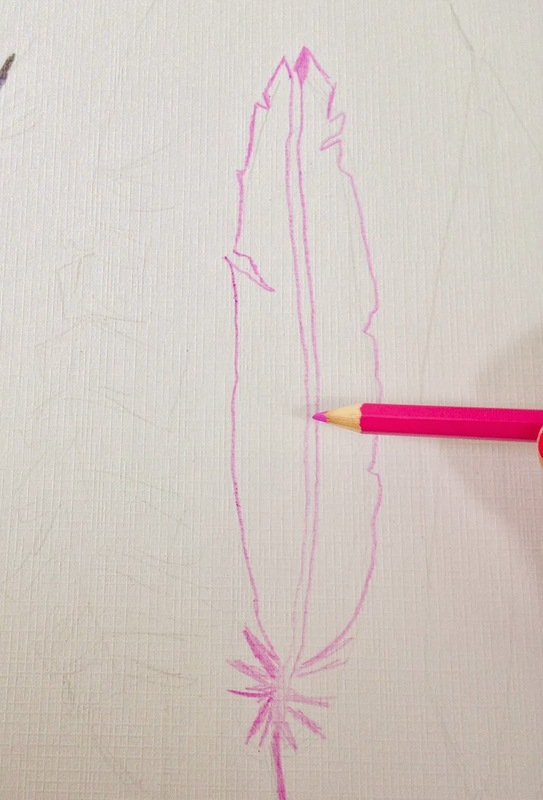 Next, I colored in each feather and traced the outline with a darker color. 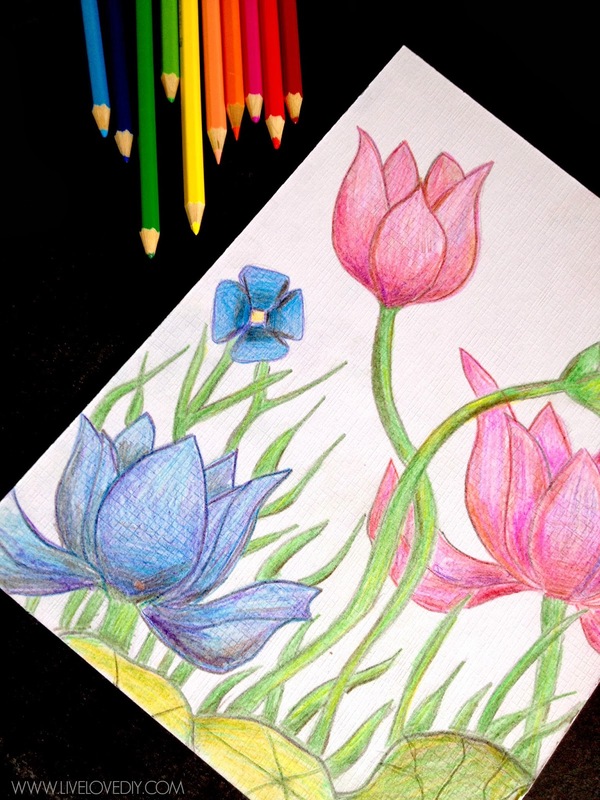 I also shaded in a few spots with some different colors. I found using several different colors, mixed in with some black and brown creates a lot of depth and interest. The more the merrier, pretty much. 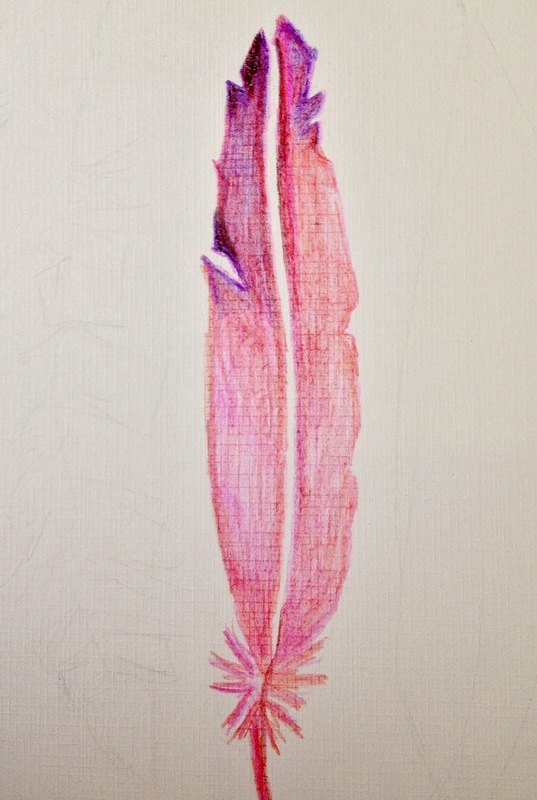 Also, I am admittedly the WORST at shading, so if you are an actual artist, please just shut your eyes and remember that I'm just a nice girl drawing some feathers alone in my sweatpants. After you've completely finished your drawing, it's time to get your feathers wet. I just used a little mug of water and a small craft brush. Just trace all of the areas of your drawing, bit by bit. You can mix and blend some of the areas if you want to. The water makes all of the colors a bit deeper and much, much prettier. 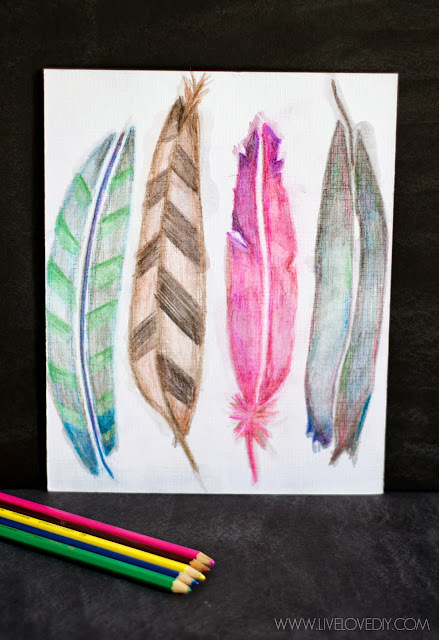 You can see where I had just painted some water on the feather in the below pic...it makes the color much darker. You can use as much or as little water as you want. I left some areas sharp on this piece, just because. Here is the final result. And just for fun, here's another piece I created. This is how it looked before I added the water. Well, that's all for today, ya'll! Thanks so much for visiting! I can't wait to show you where all of these new watercolor paintings ended up. The gallery wall I created around the TV last week! Remember that one time I used my laundry room shelf for art?